Page 44. Catch that streetcar! “BCE” is short for the British Columbia Electric Railway, which ran streetcar lines in Vancouver from 1897 to 1955 (or thereabouts … ). The streetcar sign is a feature of Ben’s alternate world that was sadly absent from ours. 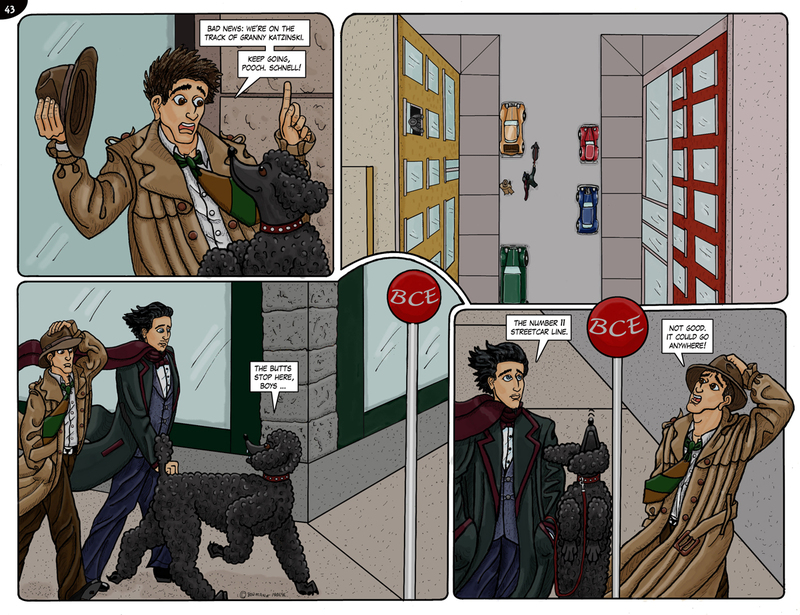 Catch up with the entire Ben story on these adorable pages: Part One and Part Two. 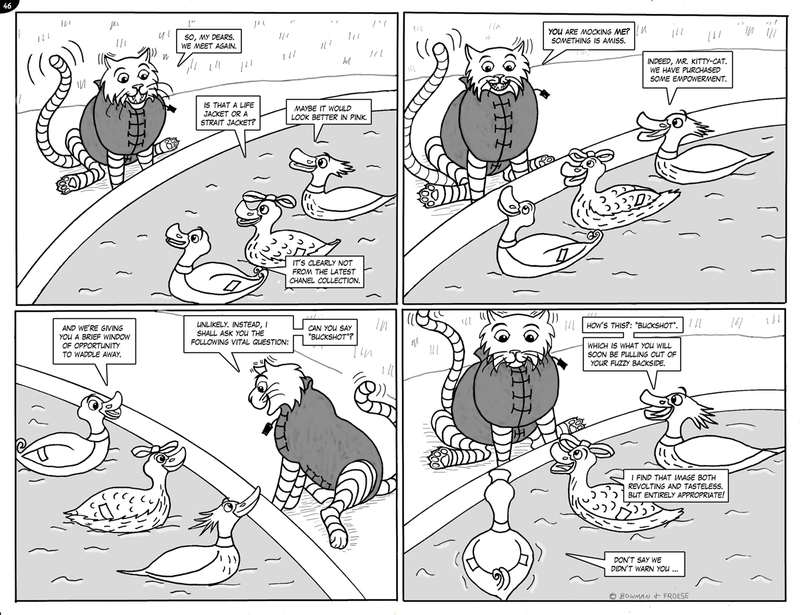 We now return to McTavish and his “playful” relationship with the ducks. But, as McTavish will soon discover, the ducks have prepared for this reunion. 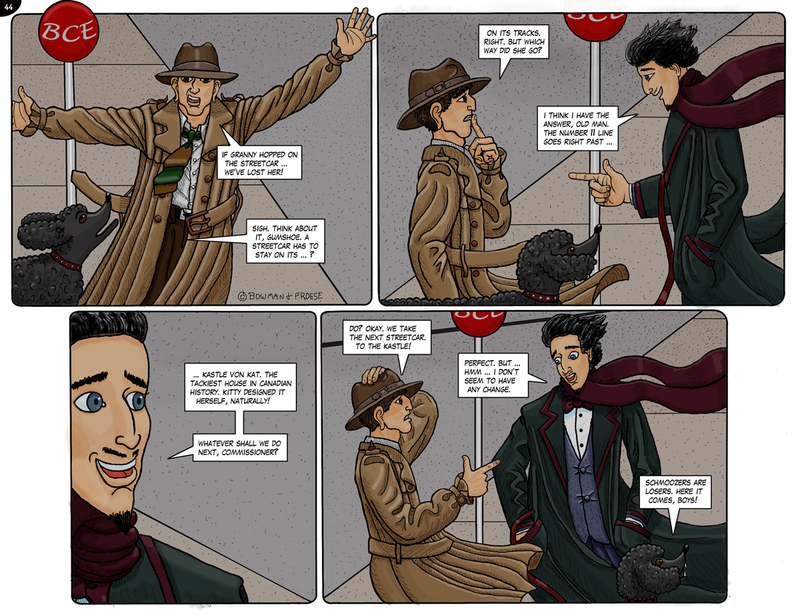 See the first set of Clan strips here. That’s where you’ll find McTavish’s previous encounters with the ducks. And the second (and latest) set are over here. Page 43. The butts stop here! After surviving their whiff of kablooie, our heroes are back on the trail. And doing entirely too well! Catch up with the first half of our story here … and the second half over here.